Living in central Europe for the next three years, we plan to take full advantage of our location to visit as many places as we can. Heck, it’s like traveling from North Carolina to New York distance-wise to most places….and, it’s to different countries (well, you do go through West Virginia going to NY, so that’s like a foreign country). 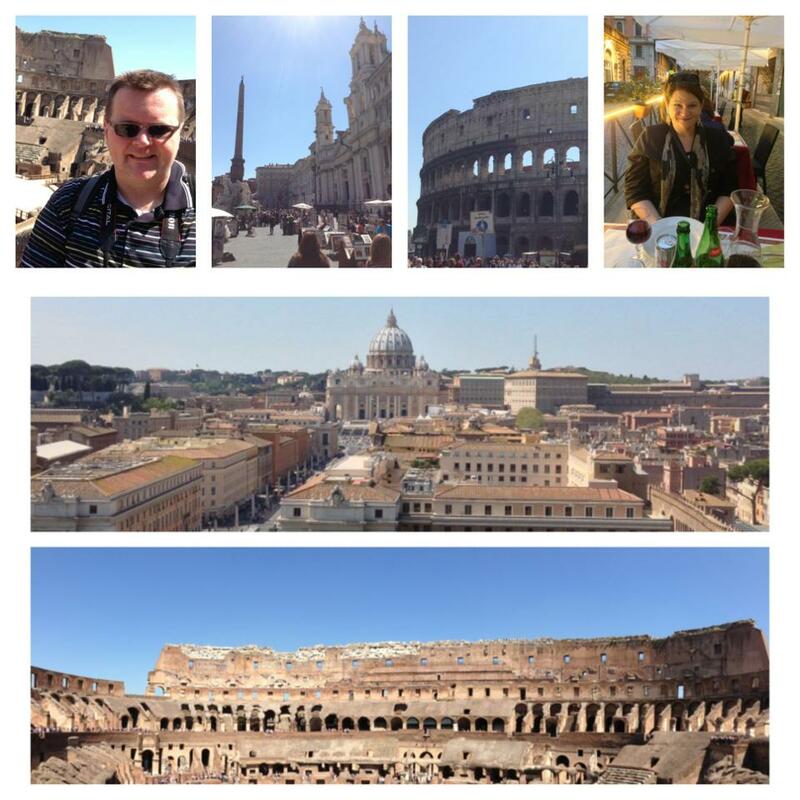 A couple of weeks ago, we spent 5 nights in Rome. Neither of us had been before, and it was a bucket list trip! We decided to fly since a train would have taken about 4-5 hours. Our 1 hour flight over the Alps was breathtaking. I’ve flown over the Rockies before, but the Alps seem more jagged and snow-covered. 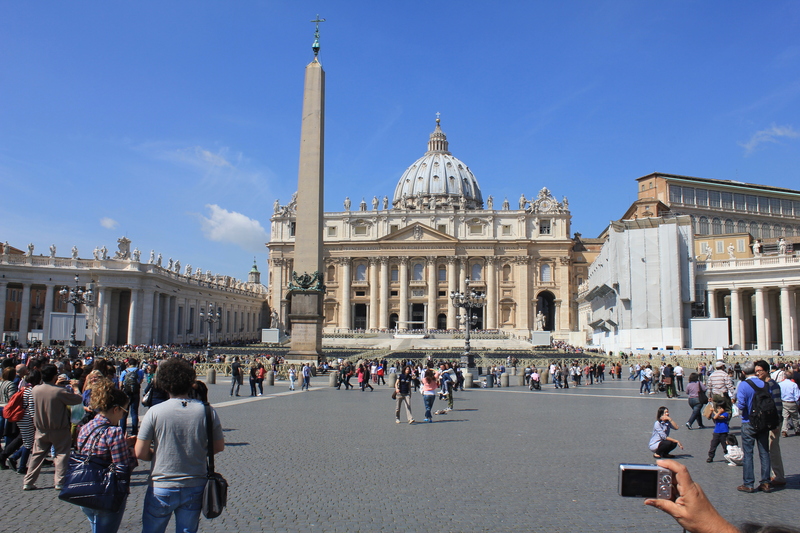 There are a few options to get from the Airport to the center, old part of Rome: train, taxi, or hotel shuttle. For 45 euro, we decided to take a taxi. I highly, highly recommend to NOT rent or drive a car in Rome! There are lanes, but i think the lines in the road are merely a suggestion! Plus, parking is a nightmare…as seeing a Smart Car parked sideways attests to. 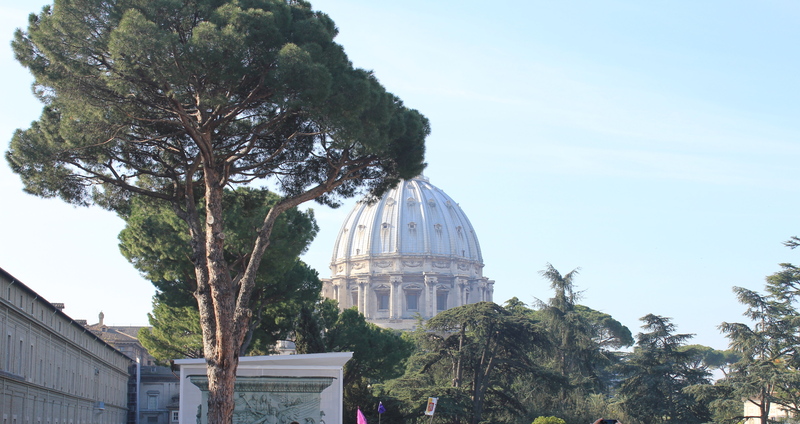 It is about a 30 minute taxi ride from the airport to the center of Rome. The airport is on the Mediterranean Sea, we drove through flat farmland until reaching the outskirts of Rome, which isn’t too impressive. 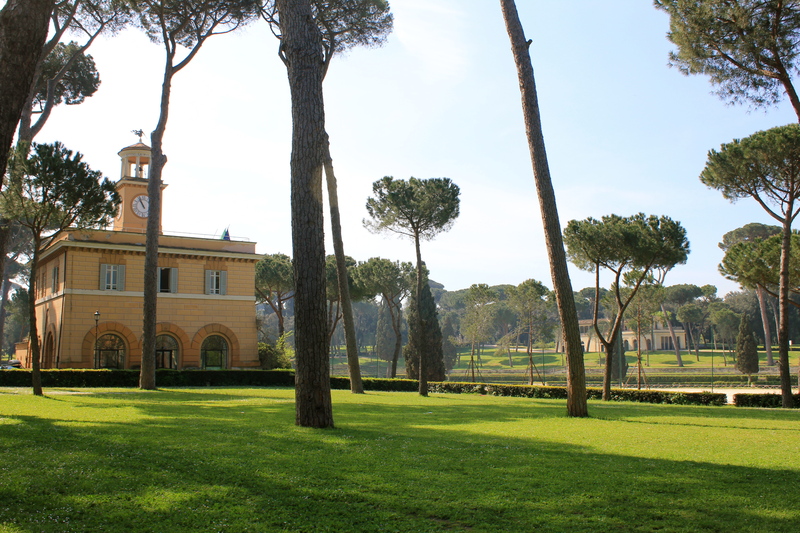 But, the further into Rome you go, the more beautiful the buildings, trees, and sights become. There is not a skyline to Rome. The tall building are apartments or churches (basilicas)…no high rise office buildings (which I was surprised to see in Paris for example). We finally got to our hotel: The Empire Palace Hotel. It is a 4-star hotel, centrally located, with very comfortable rooms & friendly service! It was evening, so we did room service, and went to sleep to get ready for our visit to Vatican City early the next morning. Before leaving for Rome, go to the website of the places you wish to visit and pre-reserve your tickets. Some places, you either reserve a ticket and pay once you are there, and others you can buy the tickets & print out online. Either way, keep your paperwork & bring it with you to the place. This is the way to beat the long lines that form in front of the popular places for entry (you can wait hours just to get inside if not). My other recommendation is to reserve a time slot as early in the morning as possible (i.e., be the first group to enter to avoid the crowds inside). 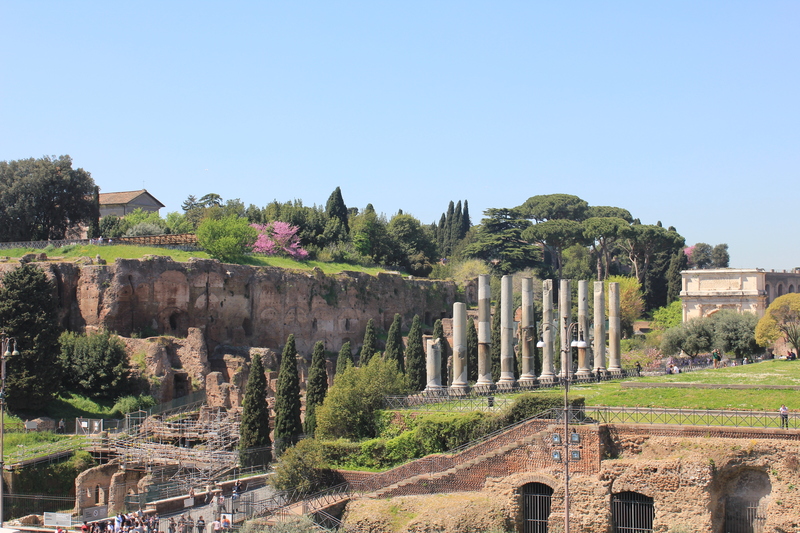 There are so many sights & places to go in Rome! What you can see and how long you can enjoy it depends on how long you plan to stay. 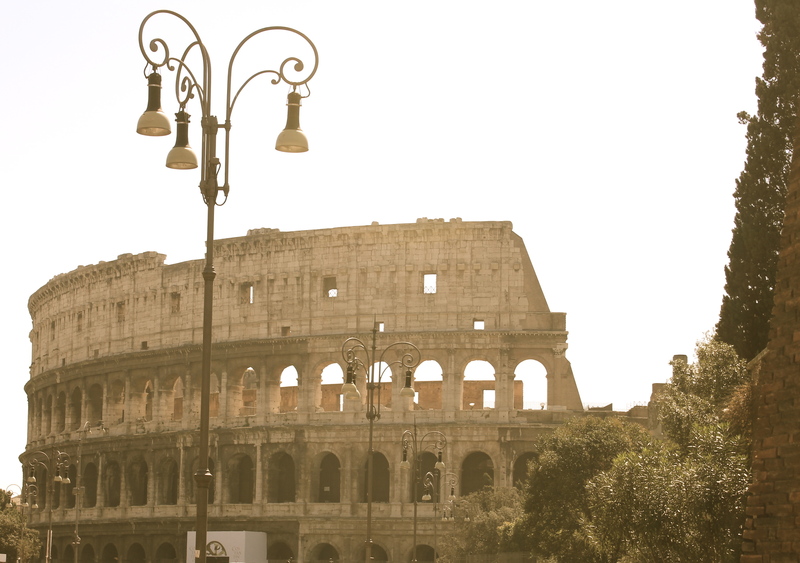 The main sights of Rome can be done in a day, but it will make for a VERY long day. We had 4 full days there, so we planned 2 places to tour each day, and walked everywhere to take in all the sights. We walked about 20 kilometers in total. Make sure to wear comfortable walking shoes as you will be walking on cobblestones, up/down stairs, and on your feet a lot. There are 2 subway lines (1.50 euro each way for one ticket) that will drop you close to most locations, buses you can take, or taxi if walking becomes too much. Before leaving your hotel room, plan the route you will take for the day and how you will get there, especially if you have a reservation for a place and need to get there by a certain time. Keep a map or cellphone map app close at hand, because it is really easy to get disoriented walking around as the streets are narrow and it is hard to see landmarks as a point of reference at a distance. Also, if you plan to visit any of the Basilicas (churches), it is advisable to wear pants & shirts to cover your shoulders. Some places can be very strict about not letting you enter if you are not wearing respectable clothing. Also, pay attention to signs that say that no photos are allowed, especially in the museums. If you research Rome, you are more than likely to read things about pickpockets or petty crimes. The simple tip is to not look like a rich tourist, do not blindly wear a purse or backpack without paying attention to it, especially in large crowds near the main tourist spots. I wore a moneybelt that held my cash, passport, and hotel key, and Amanda wore a small purse that was under a sweater (i.e., not in plain sight). In preparing for our trip, we had 2 colleagues tell us they had things stolen, so it can happen…just be aware of people around you. Eating in Rome, the expression, “When in Rome, do as the Romans do” holds true. Near the tourist spots, there are restaurants, but they tend to be busy, and a bit on the pricey side. If you walk just a few blocks away, even down the smallest of alleyways, you are sure to find a cafe to grab a bite to eat. And, make sure to eat outside of the cafe to enjoy the outdoor atmosphere. This is what we did, it did not feel like we were eating with tourists, the food was moderately priced, and tasted, oh, so good….I mean, it is real Italian food after all. On the topic of food, you have to have a gelato. I am not a big ice cream fan, but oh my, this treat is so delicious, especially after walking around all day. Shopping: there are so many little shops or even the big higher end places to shop. We bought a few leather bags, a wallet, and some souvenirs. The people we met were very nice. Everyone spoke enough English to get by. However, if you travel outside of Rome to a small town, more than likely Italian is the language only spoken. In most European countries in the larger cities, most people can speak some English, so this isn’t too big of a concern. However, don’t be a rude American! Say thank you, please, excuse me, good morning, good bye in Italian, and the rest can be English. My one problem is that I am learning German, and wanted to say those words instead. Regarding cash or credit cards, the currency like most of Europe is the Euro. Since we live in Germany, having Euros and bank access was not a problem. Like most European countries, it is a crap shoot as to whether or not a place will accept a credit card or not, so make sure you have cash. Check with your bank in the US to see what the European ‘sister’ bank is? Sometimes, if you use a sister bank, you can avoid some foreign exchange fees. And, since Rome is large, it is easy to find a nearby ATM to withdrawal money. One advantage of getting cash this way is to get a better exchange rate vs. the currency booth at an airport, which can charge a higher exchange rate. How much cash to bring depends on where you plan to visit, how high-end your shopping or dining will be, and how much wine you plan to drink…oh…the wine! As a point of reference, most attractions are from 5 to 15 euros. A nice, cafe lunch or dinner is about 7-15 euros (without drinks). As far as places to go on your itinerary, it really depends on if you want to see historical places, museums, shop, or walk around. We did a mix of it all. The best tip is to get lost in Rome. Walk down small alleys (day time of course) and get away from the crowds and enjoy Rome. 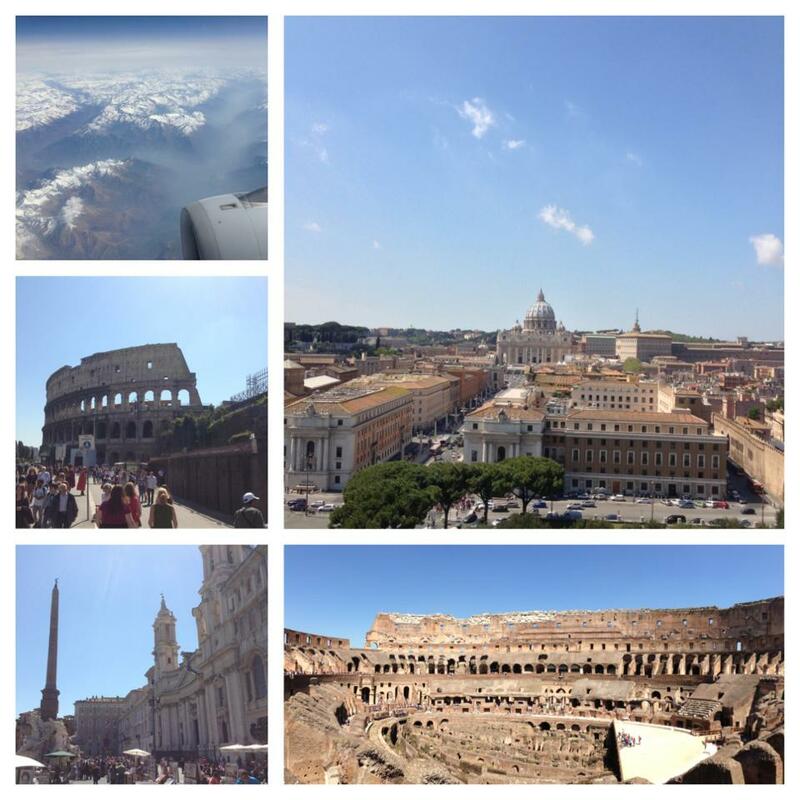 I’ve been a lot of places, and so far, Rome has to be the more touristy place (other than Vegas). We went in mid April, the weather was PERFECT!!! Crystal, blue skies, no humidity, and a light breeze. Wear layers as in April, the day can start & end on the cool side and can be a little warm walking through the Coliseum for example. I honestly took 1,200+ pictures, and pictures do not do Rome justice. The colors are amazing. Walking through history is truly inspiring. As the saying goes, “All Roads Lead to Rome”, and we both believe this was not our last visit.